There's no point in spending a single dime on a lead generation campaign unless you have a system in place to turn those leads into sales. It's a waste of ad budget, landing page builder subscription, not to mention the time you spend setting it up and optimizing the conversion rate. It's like throwing money down a well. This article will give your SaaS company a step by step guide to lead nurturing. The lead nurturing process in this guide has proven to yield the best ROI, be the simplest to replicate and convert the greatest number of leads into sales. Before we can start effectively nurturing your leads into sales there are a few details we need to know about them. If we can't segment we can't personalize, and if we can't personalize then our strategy loses between 50% and 100% efficacy - as in we'll convert about half as many leads as we can if we segment effectively. Click here to read my guide to lead segmentation strategy. The most essential piece of lead information you should be collecting from your SaaS leads is their business name. You'll see why it's essential in a few steps, but at this stage know that it's important and isn't going to drop your visitor conversion rates too much. You might see a drop if you're collecting a lot of leads from content upgrades, as they're a relatively low-value lead magnet. But if you're focused on webinars, ebooks, whitepapers, infographics etc, you shouldn't see more than a 5% decrease - and that's more than worth it for the boost we see in sales conversions down the line. To download our new Industry Report on the State of Lead Generation, covering the most recent stats as well as strategies, CLICK HERE. Any good landing page builder will allow you to send a bit of hidden information through with your lead's conversion. Usually this is done with a hidden field. Imagine a hidden field like a stowaway on an old wooden ship. Nobody knows it's there but it crosses the ocean just as effectively. Except this time, once it gets where it's going it delivers vital information to your marketing team. Instead, I'll group my ebooks into a few segments: lead generation, social media marketing, growth hacking and contests and promotions. If someone downloads my complete guide to marketing automation I need to tell my marketing automation platform that this lead should be placed into the growth hacking segment and to sent relevant content. If someone downloads my complete guide to Instagram, they need to be segmented into the social media marketing list and sent relavent social media content. So you have their email address, name, business name and (with the hidden field) their interests as well. Upon Lead Conversion: Immediate auto-response email sent introducing email sender and delivering downloaded, email-gated content. 14 Days After Lead Conversion: Educational, relevant content item #5. 16 Days After Lead Conversion: Educational, relevant content item #6. In total that's 6 pieces of educational content which needs to be relevant to the lead. That, my friends, is why we segment into relevant groups. 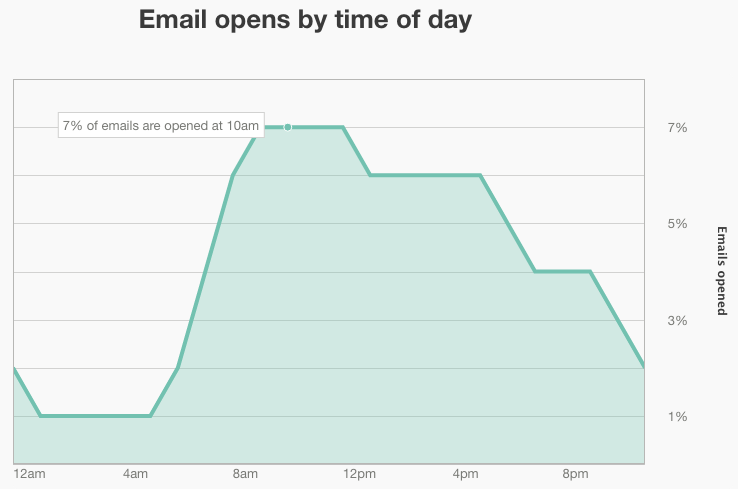 As a rule, your highest open rates are going to be between 8am and noon (cheers Mailchimp). But the difficulty is, unless you're exclusively generating leads from a specific local area (which is rare for lead-generating SaaS companies) your prospective customers are likely to be all over the globe. That's why I recommend you schedule drip emails to be sent within the same hour as the initial download. For instance, if someone downloaded an ebook at 2pm in their timezone, so long as you deliver an email 72 hours later, you know they're likely to be active again. That said, I do tend to add or subtract a few minutes here and there to make the scheduled nature of the emails a bit less obvious. So there's two options for optimizing your sales emails: automatic and semi-manual. James Scherer here. I hope this email finds you well! I wanted to reach out because I've been talking to some marketers here in Vancouver and they were expressing their frustration at finding new strategies for lead generation. Is this a difficulty at [Business Name[? If so, I'd love to get you on a call to break down a few of the things we're doing here at Wishpond, specifically our new popup and overlay tool, which has already driven thousands of new leads from our own inbound efforts. Let me know a time that works for you and I'll be in touch! I recommend the semi-manual strategy only for right when you're getting started with SaaS lead generation. It's important to get a complete idea of who your leads are before diving into complete automation. 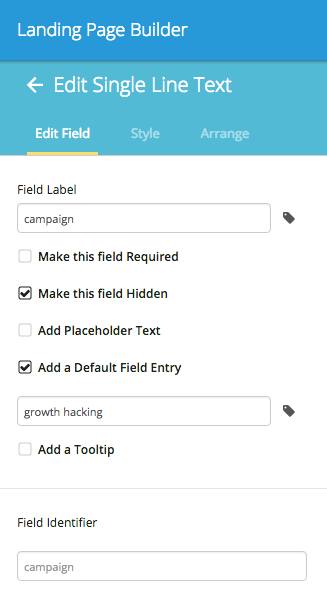 You need to do this in order to inform what drop-down items you provide in your lead gen forms down the line. Doing a bit of digging into the leads you're generating is an incredibly valuable use of your time. It gives you insight into what proportion of your SaaS leads are from which industry, who they are, which element of your product they're interested in, etc. 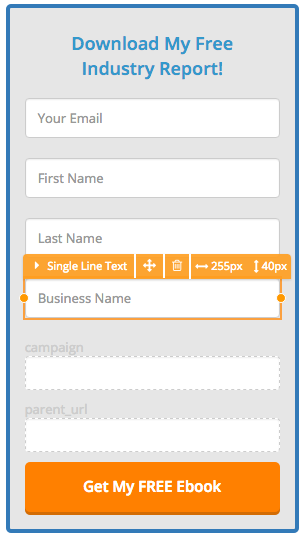 Head into your lead database for each of your campaigns. Go to the profile of a lead. Take the "business name" information and plug it into a search engine. Manually add lead information "business industry" to the profile based on the lead's website. Note this (and any other relevant information you uncover) in a spreadsheet for further reference and to inform your lead gen strategy later. Top Tip: If you're a bit more code-savvy, you can ask for business website instead of business name initially and create a crawler to search for that site's SEO description. It'll need some clearing up but you can get a pretty accurate list that way as well. I wanted to reach out because I've been talking to some other [business industry] marketers here in Vancouver and they were expressing their frustration at finding new strategies for lead generation. If so, I'd love to get you on a call to break down a few of the things our other [business industry] users, specifically our new popup and overlay tool, which has already driven thousands of new leads for businesses like yours. Once you've done this for a week or two, take the industries you've seen most frequently and add them to your initial lead generation forms. Including industry will improve your sales email success rates, but might decrease your landing page conversion rates. Test it for yourselves! 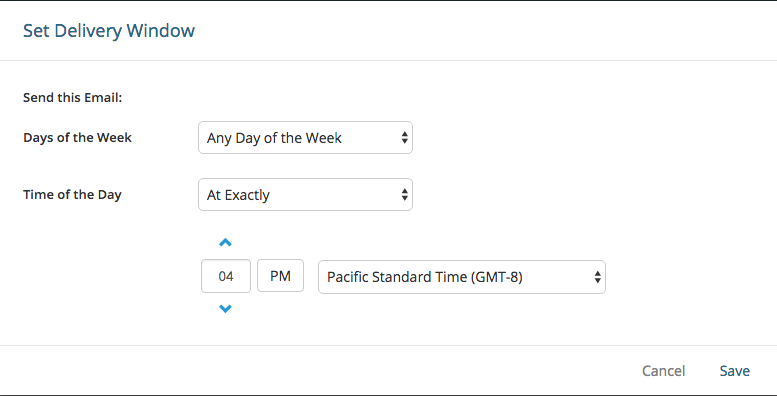 Use merge tags in the internal email (name, email address, date selected for demo, etc) so your sales team gets all the information they need, automatically. 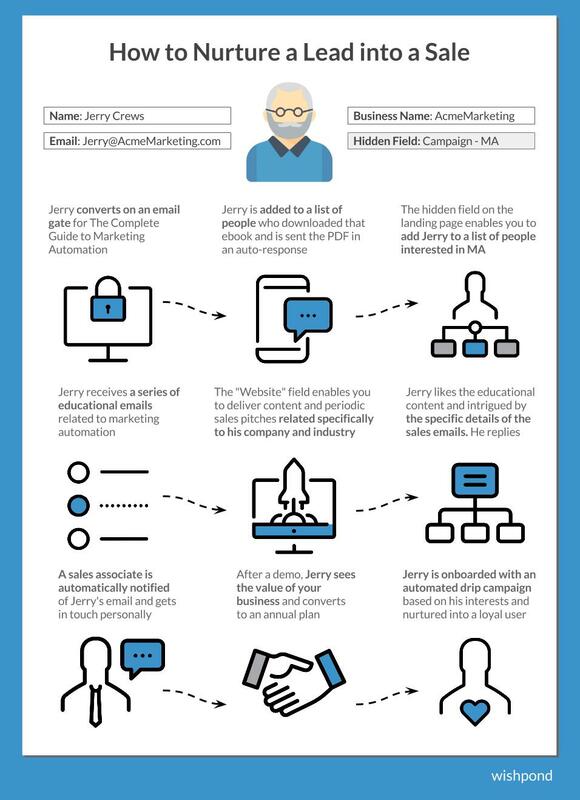 Lead Nurturing: Let's Infograph It! Hopefully this five-step guide has given you a better idea of how your SaaS startup can better turn leads into sales. If you have any questions about generate, nurturing or closing your SaaS leads, don't hesitate to ask them in the comment section below!